Nothing tells you more about the spirit and culture of a country than its native food and wine. And Georgia’s food and wine is amongst the best in the world. It may surprise you to know that Georgia has the oldest continuous unbroken tradition of wine making in the world, stretching back over 8,000 years and today, there are more than 500 indigenous grape varieties still cultivated here. A quick look at its geographical position and its landscape shows you why it is the perfect place to grow grapes. Georgian cuisine offers a variety of dishes, with liberal use of various tasty herbs and spices. Each historical province of Georgia has its own distinct culinary tradition, such as Megrelian, Kakhetian, and Imeretian cuisines. And while meat plays an important part in Georgian cuisine, very close attention is also paid to the locally produced salads, vegetables, fruit and greens. Many people come to Georgia and marvel at the sweet tasting produce and wonder how such flavour can be grown here. Again, the secret is in our history, location and soil type. Georgia is the Cradle of Wine Many discoveries have left historians in no doubt that Georgia is the birthplace of wine. Ancient wine vessels made of clay, bronze and silver; gold cups for drinking wine; wine barrels dated to the 2nd or even 3rd millennium BC; and vine seeds found in the ancient tombs of the Bronze age all leave a continuous story of the history of Georgian wine. 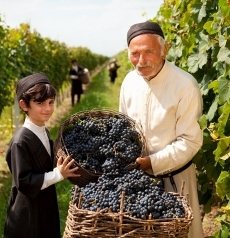 Today, over 500 varieties of grape grow in this small country and Georgian wines are well known for their unique properties and characteristics. 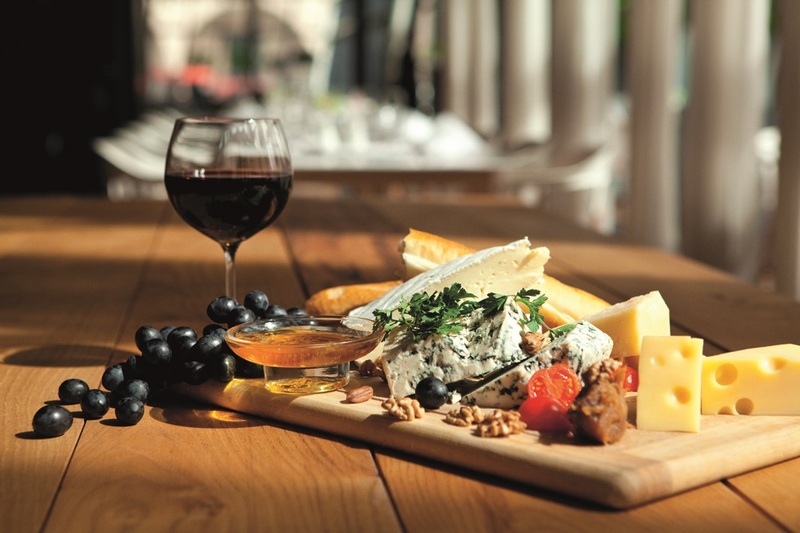 The warm climate and moist air from the Black Sea provides perfect conditions to produce superb wine. The diverse landscape and numerous climate zones enable the production of far more varieties of grapes than virtually any other country in the world. The main grape types include: White grapes: Rkatsiteli, Mtsvane Kakhuri, Khikhvi, Kisi, Kakhuri Mtsvane, Chinuri, Goruli Mtsvane, Tsolikouri, Tsitska, Krakhuna, Rachuli Tetra, Sakmiela, Avasirkhva. Red grapes: Saperavi, Tavkveri, Otskhanuri Sapere, Shavkapito, Alekhandrouli, Mujuretuli, Dzelshavi, Usakhelouri, Orbeluri Ojaleshi, Ojaleshi, Chkhaveri. 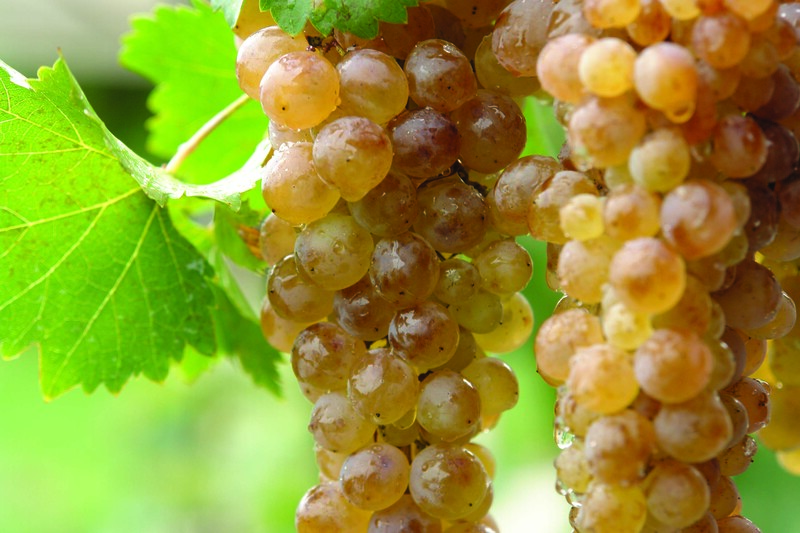 The Rkatsiteli grape creates a robust white wine full of character, with many varieties and brands. The increasingly famous red Saperavi grapes provide powerful and fiery wines with an aroma of plums, spices and almonds. In the Kakheti region you will also discover the delicious naturally formed semi-sweet wines of Kindzmarauli and Akhasheni. Wine Regions of Georgia The history of wine in the Kakheti region can be traced back to the sixth millennium BC. 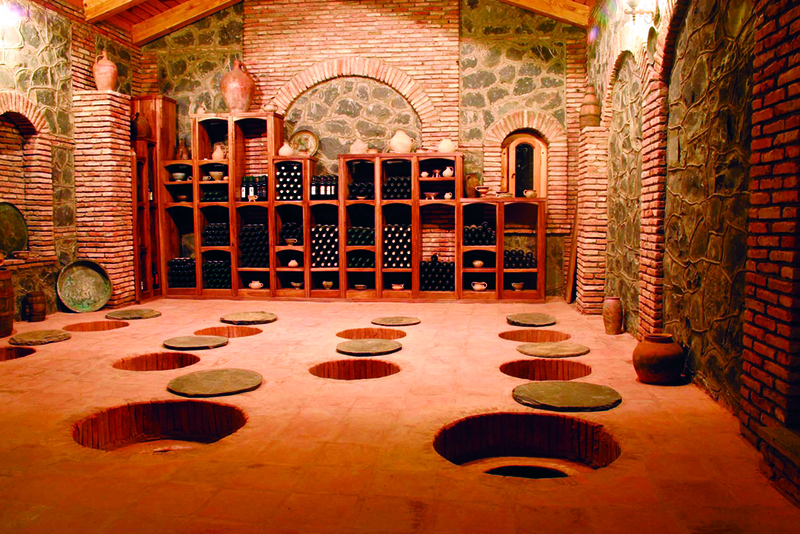 Wine has been produced using the unique and traditional style of Qvevri – clay pots submerged into the ground which are used to ferment and create delicious, unfiltered, organic wines. 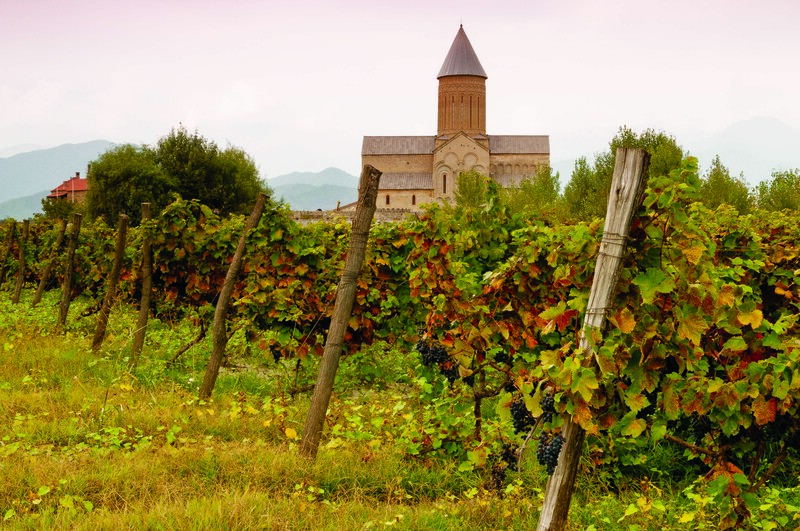 Driving through the region you cannot fail to be impressed with the number of vines and vineyards, but wine production is not only restricted to the Kakheti region. The famous semi-sweet wine of Khvanchkara is found up in the foothills of the high Caucasus in the beautiful Racha region. And you can add Shida Kartli, Kvemo Kartli, Imereti, Samegrelo, Guria, Samtskhe-Javakheti and Adjara; every region can surprise you with different tastes of their wines, colours and aromas. Georgian Traditional Winemaking Among red wines the barrique method of barrel fermentation and storage is now virtually standard practice. 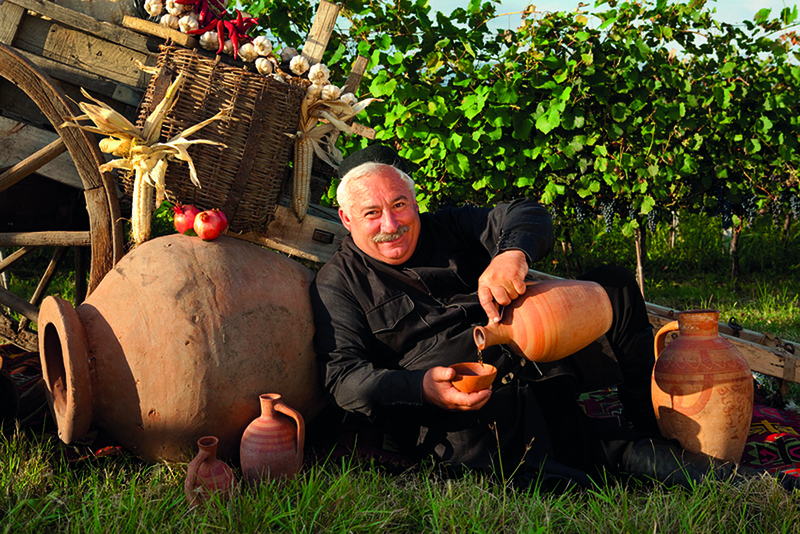 However the old Caucasian method of wine production is still widely practiced in Georgia, mostly in the eastern part of Georgia, particularly Kakheti in which grapes are placed in large, earthenware vessels called Qvevri, buried in the ground, sealed and left for several months to reach a natural and delicious maturity. An early type of Qvevri was found on Mount Khrami and is believed to date back to the 6th millennia BC and many qvevri from this and later periods have been found in both Eastern and Western Georgia. Despite similarities in their use, however, Western and Eastern Georgian i.e Colchian and Iberian Qvevri – called Churi in Western Georgia – differed from one another in terms of shape, manufacture, colour and decoration. RTVELI The important and magical time of Rtveli or grape harvesting, is held in autumn, once the grain crops are gathered in and in every home there are baskets full of locally produced pomegranates, pears, apples and peaches. In the fine early mornings during Rtveli, the vineyards fill up with cheerful calls, the Rtveli merry songs. The grapes are harvested using a Godori – a large basket made of branches from a cherry tree. This is the time of year to prepare the famous and delicious Churchkhelas. You start to prepare it far in advance by stringing together as many walnuts as possible and placing them into Tatara, a mixture of grape juice and flour which is cooked in a pot. The walnuts are removed from the Tatara and dried, placed into the Tatara again and dried once more. The Churchkhelas are then ready. Georgian Cuisine and the “Supra” Original and very specific to the country, Georgian cuisine is the natural extension of a fertile, mineral-rich landscape fed by the pure waters of the Caucasus Mountains. The cuisine offers a variety of dishes, high in herbs and spices, and a mix of vegetarian and meat dishes: organic fresh meats like pork or lamb, chicken or fish, hazelnuts and walnuts, various sorts of cheese, pickles and pungent seasonings; eggplants, plums, corn, pomegranates, kidney beans, wild herbs, coriander, scallions, hot peppers, mint, basil, garlic and much, much more fill homes and restaurants all around the country every day. Sounds great, doesn’t it? We look forward to welcoming you to Georgia!